Upgrading your insulation can be a great way to reduce energy costs and make your home a more comfortable living environment. 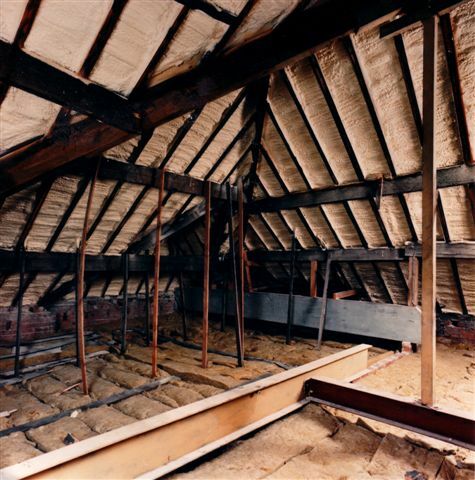 If you live in a home that is over 30 years old it is likely that its making use of an inneficient and old style of attic insulation which lets warm air easily escape and offers little in the way of air control. This is a natural occurence as the materials used in old insulation often degrades. New homes for example are often considered to be energy efficient as they make use of not only efficient compliances but also have state of the art insulation installed. These houses are also expected to achieve a certain level of efficiency with insulation and energy performance being measured for use in the new home information pack. You can find out more about energy performance certificates and home energy efficiency with our guides. You can also achieve similar levels (which will be expected when trying to sell your home) by using more up to date insulation. There are several types of insulation on the market however one of the highest performing and most popular types is spray foam insulation. This is because of its properties and ability to fill tight and awkward spaces. Old ceiling insulation for example would blanket over cracks whereas spray foam insulation fills in the gaps. It acts as a sealent. This is proven to be much more effective at controlling airflow and can keep your home warm in the winter while keeping it cool in the summer. At Sprayseal we use the latest spray foam insulation on all projects and work with our clients to ensure they get the most efficient levels of insulation possible. 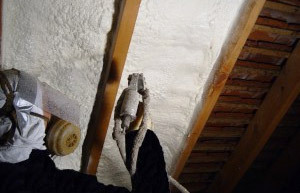 To do this we have to adjust the thickness levels of our loft insulation and carryout pre-treatment works on your roof. When removing your old insulation we will look for signs of ageing and damage to your roof. These checks and possible repairs are vital to providing long lasting and effective attic insulation. We pride ourselves on our quality of work and have worked on a range of properties including schools, factories, houses and warehouses. 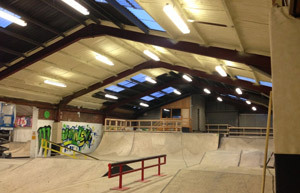 We also offer our services at affordable prices and work typically takes 1 to 2 days to complete. Our insulation is also environmentally friendly and we operate services across the UK. We also run a price match scheme and offer various discounts on a monthly basis. If you want to upgrade your attic insulation then why not give us a call or click on the quote button below and fill out the form. One of our representatives will then give you a call.